New arcade called Jenni’s Funhouse has a hand crank four die machine on front porch so it is available 24/7. 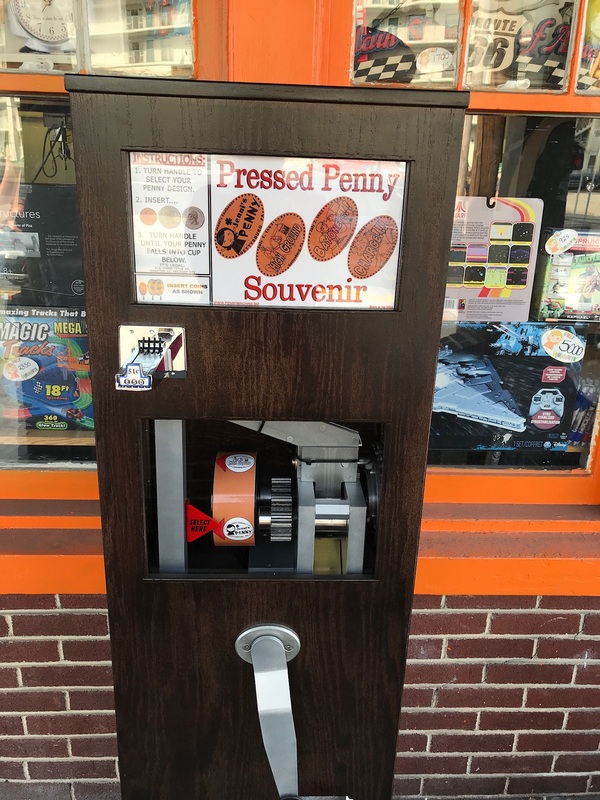 Owner has some copper pennies for peeps who need them as well as change. New designs are kind of cartoonish but a welcome change from the run of the mill designs in Gettysburg. ktyrrell added Karen Tyrrell to system.